You will now have 4 listening exercises: 4 videos each followed by 1 quiz. You will hear a woman and a man talking about their work at a library. First you have some time to look at questions one to five. You will see that there’s an example of has been done for you. On this occasion only, the conversation relating to this will be played first. Hello I’m mrs. Philips, the head librarian. You’re the new library assistant, aren’t you? Yes, I’m Robert Haskell but please call me Bob! The woman introduces herself as the head librarian mrs. Phillips. So the name mrs. Phillips has been written in. You should answer the questions as you listen because you will not hear the recording a second time. Listen carefully and answer questions one to five. Hello! I’m mrs. Phillips, the head librarian. You’re the new library assistant, aren’t you? Yes I’m Robert Haskell but please call me Bob! Let me take a few minutes to explain how the library works and what your duties will be. First the library opens at 8:30 in the morning. So naturally we expect you to be here and ready to work by then. And you can go home at 4:30 when the library closes. Now let me explain where everything’s kept! It looks like here on the ground floor is where the reference books are. Up on the second floor is where the adult collection is, both fiction and nonfiction. And the children’s books are there too, aren’t they? I thought I saw them in the room by the stairway. No, those are magazines and newspapers for adults. Children’s books are up one more flight, on the third floor. We’ll take a look at them later! Let me show you how we organise our work. Do you see that brown book cart over there? The one by the door? Yes that one. Those books have been checked in and need to go back on the shelves. Okay, so the brown book cart has books to reshelve. What about this black cart, by the desk? Those books have torn pages or damaged covers. They’re all books that need to be repaired. Okay, I know how to do a lot of that. I’m pretty good at mending torn pages and covers. That’s great because we really need help with that! And that white cart in the corner? What are those books for? Those are old books that we’ve taken off the shelves to make room for new ones. We sell them as used books to raise money for the library. So they’re all ready to sell? Yes, that’s right! So now you know what to do with the books in the carts, let’s talk about our activities schedule! Now listen and answer question six to ten. I understand this library has a number of interesting activities every week. Yes, our activities are quite popular! The most popular one is story-time for the children. Do a lot of children show up for that? Yes a good many! It takes place in the children’s room on Thursday mornings at 11:00. Isn’t there a family movie night too? Yes, but it’s not at night anymore. We used to have family movies on Fridays when the library is open until 9:00. But now we have a different activity at that time. So we had to switch family movies to the weekend, Saturday afternoon. How much do you charge for the movies? They’re all free! The movie always starts at 2:30 in the Reference Room. But you don’t have to worry about that since you don’t work on weekends! And what takes place on Friday evenings? 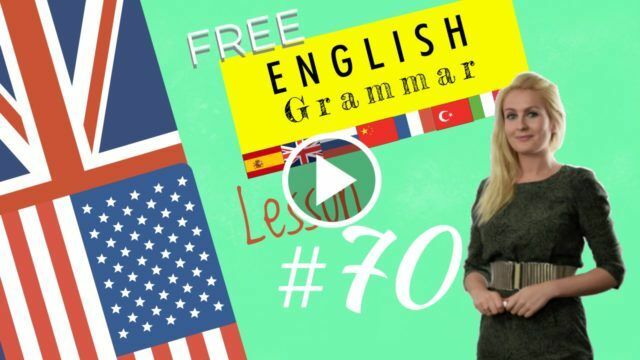 We’ve just started a weekly lecture series. We have a different speaker every week and the lectures cover all different kinds of topics. That sounds like something I’d be interested in attending! Good, because we’ll need your help with that! You’ll be working Friday evenings and one of your duties will be to set up the meeting room on the first floor for the lecture. What time will you need that done? The lecture starts at 6:30 and the room needs to be ready well ahead of time. A lot of people arrive early. Maybe I should have the room ready by 6:00? That wouldn’t be a bad idea! Okay! Why don’t I take you upstairs and show you the rest of the collection? That is the end of section one. You will have a radio interview about a lakeside resort. First you have some time to look at questions11 to 15. As you listen to the first part of the talk, answer questions 11 to 15. Good afternoon and welcome to today’s show! The warm months are with us and many of you are getting ready to plan vacation trips. To help you with that we have a special guest today, Robert Sampson, director of the golden Lake Resort. Robert, I understand Golden Lake is a popular place for families to spend their vacations? Yes, families enjoy spending time at Golden Lake. Many come back year after year. We have a spectacular location and fun activities for both children and adults. Could you describe for us some of the activities available at Golden Lake? We have a lot of water activities of course. Since we’re right on the lake we have a pleasant sandy beach for swimming. We also have canoes and sailboats available and many of our guests enjoy boating on the lake. I imagine waterskiing would be popular among your guests? Actually we don’t permit waterskiing in the resort area. It can be dangerous for swimmers and for the canoeist too. We do have a great location for fishing though and you’ll often see guests fishing from our dock or from the canoes. That sounds very relaxing! What about activities on land? Do you have facilities for tennis? We have tennis in the past but the courts fell out of repair. And since we found that most of our guests weren’t interested in the game we closed the courts down. So that’s no longer an option and naturally because of our location in the woods we don’t have an adequate area for a golf course. But I’d like to let your listeners know that we’ll be adding a new activity this year. We’ve made an arrangement with the local stable. So now we’re going to have horseback riding available for our guests. We’ve created several riding trails around the lake. That sounds lovely! Now what about rainy days? What can your guests do when the weather is bad? We have a games room in the cross room when the weather’s rainy some of our very talented of members of arts and crafts classes for all ages. What fun! Do you offer any other classes or activities? We have a weekly schedule of evening activities which anyone can attend if they choose. Every Sunday we show a film or something that’s suitable for the whole family. Monday is my favourite night because that’s dessert night. Our cook prepares a variety of desserts and we get to taste them all. mm-hmm I’d like to be there for that! We get more serious toward the middle of the week. Our discussion night is on Tuesday. Yes, we discuss different current events depending on what’s happening that week in the news. Then on Wednesdays we have lectures. We invite different experts to talk about local history or nature topics. This is actually one of our most popular evening activities. We found that our guests are really interested in learning about the local area. Yes, we’ve had some excellent speakers! Thursday nights are totally different because that’s when we play games. That’s especially fun for the children. The children love Fridays – because that’s talent show night. Everyone gets in on that staff, guests, everyone! It looks like you have a lot of fun at Golden Lake Resort! We do! And we end every week with big fun with a dance on Saturday night. Now I understand a little more why Golden Lake is such a popular place for family vacations. With such a variety of activities there’s something for every member of the family there! There is and I hope your listeners will consider spending their next vacation with us! You will have two students talking about a class assignment about wild bird rescue and rehabilitation. First you have some time to look at questions 21 to 25. As you listen to the first part of the conversation, answer questions 21 to 25. Okay let’s go over the requirements and see what we have left to do! Let’s see… We have to give the professor a written summary of the information we’ve gathered on that topic – wild bird rescue and rehabilitation. The other written thing we have to turn in is a case study of the rehabilitation of one bird. We have the information on that already! Right, all we have to do is write it up! What about charts and graphs? Do we need to include something like that? I don’t think so! They aren’t really relevant but we do have to turn in a list of the resources we used, naturally. What about videos? I heard some of the other students were doing that! Well I guess that must be optional because I don’t see it on the requirements list. Okay, we should start planning our class presentation since that counts for half the grade! We’ve looked at lots of sources of information but I think our best source was the interviews we did with the wildlife rehabilitators. Agreed! That and the journal articles! I think we have enough information from those two sources for the presentation. Anyhow, the books we looked at weren’t all that helpful. I wonder if we should try to bring in some live birds for the presentation. That would be too difficult, don’t you think? But we have lots of photos of rehabilitated birds; we can show those! Now listen and answer questions 26 to 30. Right! Okay, I think we should start by talking about how to rescue a bird. Probably first we should help people understand which birds need rescuing. Yeah that’s really important because a lot of times people see a baby bird that’s all alone or they find a bird sitting on the ground and they think it needs to be rescued! And usually those are just baby birds learning to fly! So we should emphasise that people should only attempt to rescue a bird that’s clearly injured. For certain kinds of birds the rescuer needs to wear protective gloves because some of those birds have sharp claws and can tear your shirt or worse injure your face or some other part of your body! Yes that’s an important point! Okay, next let’s tell people to put the injured bird in a box – a box with good air circulation! We should let them know that a cage isn’t necessary. And a bag, especially a plastic one, could hurt the bird more. Another thing we need to say is that the best way to help the birds stay calm is not by petting it or talking to it but by leaving it completely alone. Then people should take the bird – the bird rescue center as soon as possible. Right! And we should also point out that when they’re driving the bird to the rescue center it’s better not to play music on the radio or talk loudly because those things just stress the bird. Yes! It’s better just to speak quietly while you have the bird in the car. Okay, we’ve got that part covered! Next we should talk about what happens at the rescue center! You will hear a lecture about the Great Barrier Reef. First you have some time to look at questions 31 to 33. Listen carefully and answer questions 31 to 33. Despite its name the Great Barrier Reef isn’t just one large coral reef. Rather it’s a system of coral reefs that stretches along the east coast of Australia covering an area of around 300 thousand square kilometres. The Great Barrier Reef is composed of approximately 3,000 individual reefs which range in size from one hectare to more than 10,000 hectares each. In addition around 600 Islands are scattered throughout the area particularly at the northern and southern ends. The reefs themselves are composed of over 400 different kinds of coral – the largest variety of corals found anywhere in the world. Now listen carefully and answer questions 34 to 40. Thousands of species of sea animals live in and around the reefs altogether. Approximately 1,500 species of fish inhabit the reef area including a number of different kinds of sharks. One of the more interesting mollusks to be found in the reefs is a giant clam. This huge shellfish can live for more than a hundred years and can weigh as much as 200 kilos. Sea mammals abound in the area which serves as a breeding ground for certain types of whales many of which are endangered. Over 200 species of sea an shore birds feed, roost or nest among the reefs and islands. Many types of reptiles can also be found living among and near the reefs. Saltwater crocodiles for example inhabit the marshes along coastal areas. Amphibians include at least seven species of frogs inhabiting the islands of the reef. Unfortunately this wondrous area of the world is threatened by climate change. Rising sea temperatures have led to an effect called coral bleaching. That is large numbers of corals dying off especially in the shallower areas of the reef. The Great Barrier Reef Marine Park Authority is attempting to find effective ways to deal with this issue that threatens the reef. One proposed solution involves shading the reef in certain areas to help keep the surrounding water temperatures down. 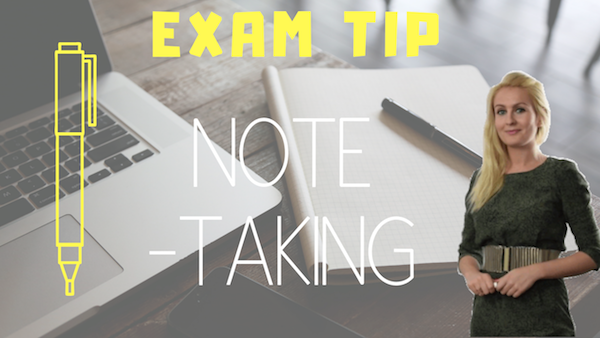 Taking notes is a skill that you will already have developed at school, at work and/or at university. 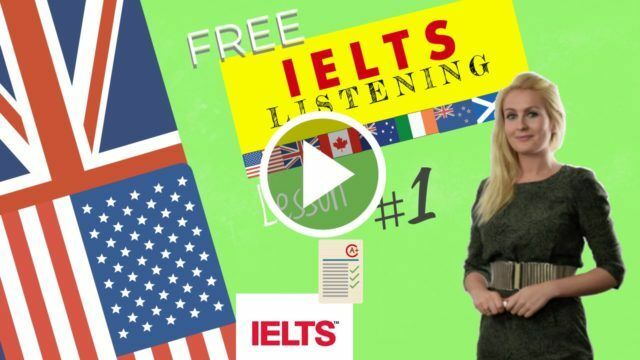 Let’s go over the basics together so that you can apply them during your preparation of the IELTS but also on the day of the exam! Write a little, fast, and in a legible way. Use a new piece of paper. Only write on one side of the paper. Leave blank spaces so as to be able to add comments or notes afterwards. Have your own system of abbreviations and symbols. Write down unfamiliar words or concepts. Depending on the type of exercise you are taking notes for, focus on note-taking of details of general ideas. Use the basic question words to outline the story: who? where? when? why? how? what? Use highlighters when going over your notes.